Home > Colour & Music > Beyond the Surface. Here are some still images from filmwork I am working on with the Norwegian filmmaker Haavard Helle, with whom I am collaborating. The filming is an extension and a progression of my work to date, which are all via performances and moments in time. This will focus on transformations that tale place with paint, music and sound, and provide an essay to facilitate a greater understanding of the practice and processes and time based nature beyond the surface of my work, and form part of displays and events over the coming year. 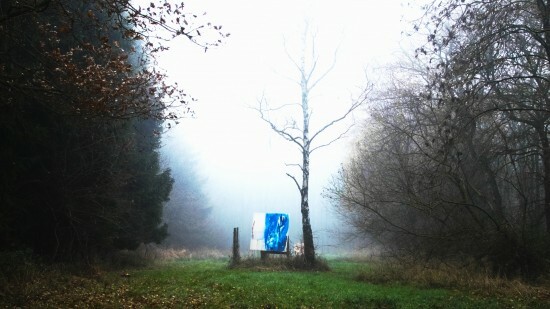 Lonely Painting in the Woods. 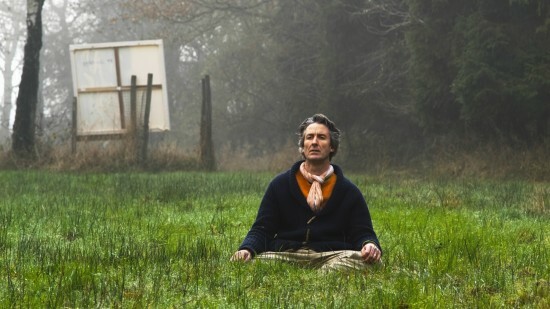 There are some good shows relating to the intersection of music and art, on at the moment,the magnificent Klee still at the Tate, and Martin Creed at the Hayward. I am greatly excited at the moment, about the forthcoming Carolee Schneeman exhibition, and the film by Marielle Nitoslawska “Breaking the Frame” at Hales Gallery, and shown at the ICA in London both happening at the end of the month. Her groundbreaking work continues to strongly inspire me and I am looking forward to meeting with her. Finally, the other week I witnessed the funk at close quarters with the incredible George Clinton, a truly legendary and extraordinary revolutionary figure in music. Whilst being transported to another dimension during an intimate performance in Metropolis Studio’s, I was amazed at the ability of this tight, beat driven music to just take over the body and mind. Its the same feeling I have sometimes when painting in performance, painting the music. The power of music. George Clinton-Parliament Funkadelic. Lets Take it to the Stage/Cosmic Slop/Magot Brain.